Tata Steel is said to be considering taking a majority stake in its venture with Germany’s Thyssenkrupp, in a move which would provide further proof of its commitment to the European steel sector. According to Reuters, Tata may be open to taking a larger portion of the business than the 50pc stake it will receive under the joint venture, once the entity is publicly listed. This will depend on how well its operations are doing in India and market conditions at the time of the float, Reuters said. 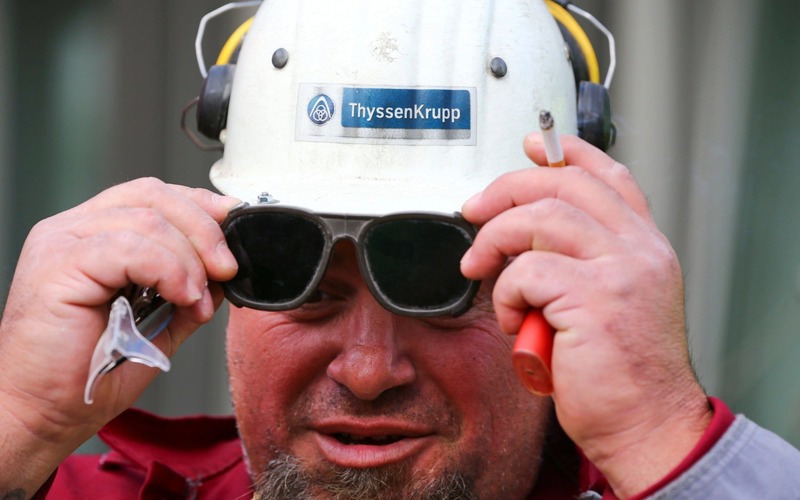 The deal with Thyssenkrupp, to merge European assets and create a ?13.3bn-a-year industry giant, was first announced last September, and was seen as a defensive move by both Tata and Thyssenkrupp in the face of fierce competition from Chinese steelmakers. However, it had been expected that the new company, to be called Thyssenkrupp Tata Steel, would eventually be separated off from the two parent businesses, either through a sale or a flotation. Tata was thought to be using the mega-merger in an effort to draw a line under its foray into the European steel sector, which has caused it to incur huge losses and writedowns, while Thyssenkrupp had been understood to be looking to focus more on its profitable capital goods operations. However, sources told Reuters on Friday that "Thyssenkrupp is looking to exit the steel sector while Tata is looking to stay and grow". The news that Tata may be seeking to increase its position in the combined entity will further quell fears over its commitment to the sector, and comes on the back of its decision in February to finance the repair of a blast furnace at its Port Talbot steelworks site, in Wales. The works, which will extend the furnace's life by seven years, had been taken as a tentative sign that it was not backing away from the European steel sector. The new Thyssenkrupp Tata Steel business will have three main production hubs, namely Port Talbot, IJmuiden in the Netherlands and Duisburg in Germany.